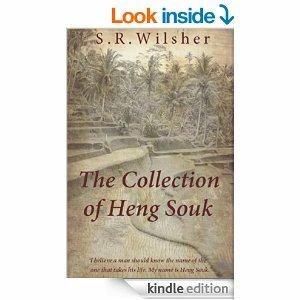 THE COLLECTION OF HENG SOUK IS AN AMAZING STORY OF WHAT U.S.A. TROOPS ENCOUNTERED AS PRISONERS OF THE VIETNAMESE DURING THE WAR. HENG SOUK KEPT A DIARY OF ONE OF THESE PRISONERS AND HIS NIECE HAS THE OPPORTUNITY TO READ IT. THE DIARY REVEALED THE CRUELTY HENG SOUK IMPARTED ON THE MEN WHO FOUGHT FOR OUR COUNTRY. HENG SOUK FELT HE HAD AN OBLIGATION TO KEEP UP A REPUTATION BUT DID NOT DEVELOP REGRET UNTIL MUCH LATER IN LIFE. FOR THOSE TRYING TO FIND WHAT HAPPENED TO LOVED ONES, THE DIARY AND CURRENT DAY VISITS TO THE PRISON BRING SURPRISING ANSWERS. 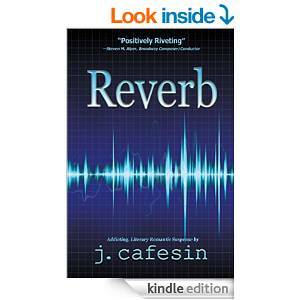 UNFORTUNATELY REVERB DID NOT CATCH MY INTEREST THOROUGHLY. IT WAS A STORY ABOUT A MAN TORN APART AND TORTURED WHO EVENTUALLY LEARNS TO LOVE. HIS PAST IS ALWAYS HAUNTING HIM WHILE THE PRESENT AND FUTURE HOLD PROMISE.